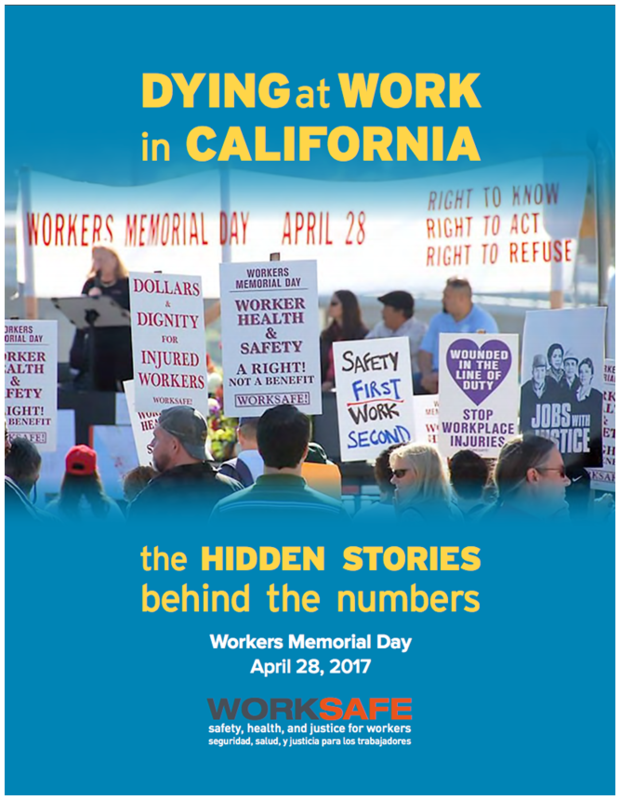 Worksafe is proud to announce the release of our 2017 annual report, Dying at Work in California: The Hidden Stories Behind the Numbers. We produce this report to bear witness to the human toll of unsafe work and unscrupulous employers, to inform the public about threats to worker health, and to emphasize the importance of publicly available data on occupational health. We hope the report also serves to inspire collective action and celebrate recent advances and victories that have made workers safer. The full report is available here.